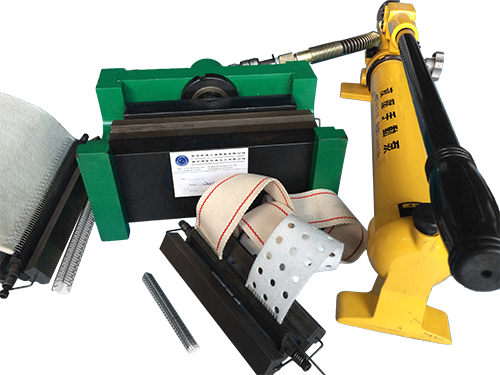 Laundry Conveyor Belt Fasteners Installation Tools or hooks machine from the mould and hydraulic system components through the replacement of mould, to meet the laundry belt fastener # 25 and # 1 smooth processing. It can use on #25 of 6" (150mm) and #1 of 8"(210mm). By replacing to 300mm mould to reach filter belt hooks process. 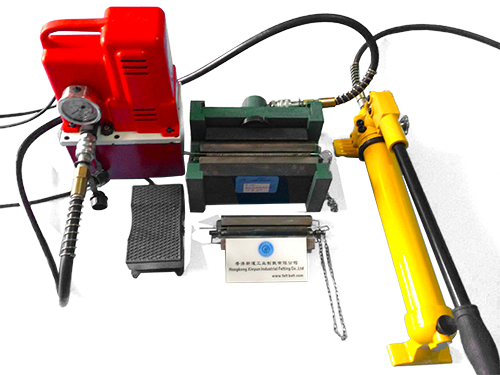 To use mould with vice, it is more suitable for repairing small quantities of belts. Application: 25# hooks,Cotton folding belt,Elastic belt,Polyester feeding belt,2-3mm PVC belt,Polyetser ironer belt. Application: 25#&1# hooks,2mm to 5mm laundry belts. Application: apply to the belt hooks of 25# and 1#.